Ten-year-old Abdullah and his little sister Pari live with their family in the small village of Shadbagh in Afghanistan. They are as close as two people can be but when circumstances outside of their control separates them they both go different life-long journeys, where they struggle to keep their connection alive. 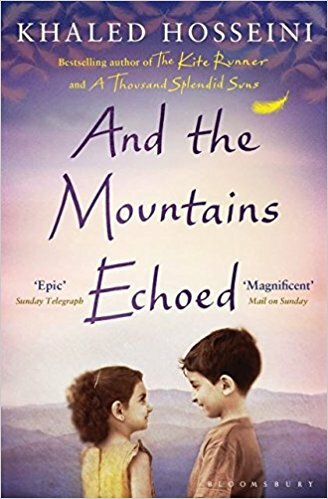 I’ve had And the Mountains Echoed sitting unread on my shelves for a couple of years now, but it was only when I got the audiobook (narrated by Khaled Hosseini, Navid Negahban and Shohreh Aghdashloo) from my library, that I finally got around to reading it and I’m so glad I did. Khaled Hosseini is probably most famous for writing The Kite Runner, but this is the first book I’ve read by him. It was a very enjoyable book that’s often devastating but does offer a sense of hope. The writing is really good, there are so many touching and thought-provoking quotes, and the way Hosseini gets you connected to these characters is to be admired as there’s a lot of them. And the Mountains Echoed not only follows Abdullah and Pari, but characters related to them or characters they’ve met briefly at one point or another. It’s sometimes a little disorientating as each chapter is from a different character’s point of view and at the beginning of each chapter its not made clear, whose perspective we’re now in. In a way, this makes And the Mountains Echoed a bit like a mystery. You are given different perspectives of different events, that all somehow relate to the main plot-thread but it’s up to you as the reader to figure out how these characters and events are all connected. You don’t just get to see how characters change over time in And the Mountains Echoed, but countries and their people too. The book spans almost 60 years, starting in 1952 and the last chapter taking place in 2010. Through this time, you get to see Afghanistan as a country evolve. Characters live through prosperous times and times of conflict, it is often everyday life for them as it’s their home. While for other characters who have emigrated and then returned, they don’t always feel at home there anymore. And the Mountains Echoed is about family, heritage, culture, and the connections people make with others and places. It’s finding about finding loved ones and a place to call home. It’s a touching story that while is often sad, as it follows the all to real traumas of everyday life – sudden death of a loved one, old age, and disagreements with family – it also has moments of light-heartedness and optimism about life. 4/5. In three weeks I will be taking part in the Memory Walk in Brighton to raise money for Alzheimer’s Society and to raise awareness for the disease. If you’d like to sponsor me, you can do so here. But this isn’t just a post begging for money, I also wanted to talk about why I’m doing the walk and how Alzheimer’s has been a part of my life for almost ten years. 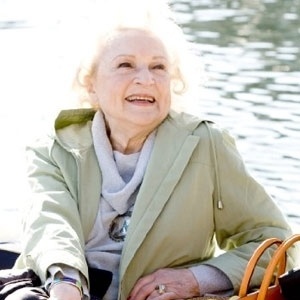 Dementia is the broad term for a persistent disorder of the mental processes that are caused by brain disease, like Alzheimer’s disease, or a brain injury and that causes memory problems, personality changes and impaired reasoning. My grandad got diagnosed with dementia when I was fifteen. While there had been various instances that we were all noticing leading up to the diagnosis, when we look back now we can see that things hadn’t been right years before but no doctor or anyone had said there was anything wrong. Looking back, my grandad had a couple of strokes when I was very young, only about six or seven, and when he was in the hospital bed he’d say there was a bird sitting on the end of it or there were rabbits running around the ward. We all found it funny and as he was otherwise fine and had no physical problems from the stroke we all thought nothing of it. Now we think that that might have been a sign of dementia but then we were unaware that such things as dementia and Alzheimer’s even existed. If there’s one thing I’ve noticed over the past ten years is that dementia and Alzheimer’s are words used much more frequently, before my granddad was actually diagnosed doctors just said it was a man getting old. I am now technically homeless. Let me explain, yesterday everything was completed on the sale of my family home and we don’t have a property to move into until the middle of April so we’re now staying with family friends till then. Today is Mother’s Day in the UK so I thought I’d use this time to talk about why I love my mum so much. Now in my family we don’t have many traditions or anything when it comes to Christmas. This is probably because my family is ridiculously small – if we don’t have friends round for Christmas dinner it’s just me, my mum and my gran. But there are something’s I love about Christmas even if it’s a small affair. This has always been “my job” at Christmas. Even when I was little I’d always decorate the tree. When I was at Uni, my mum would do it because I’d only get home a few days before Christmas but the last few years I’ve been home I’ve done it and putting together the tree (we have a fake one) and decorating it is what makes me feel all Christmasy. We don’t have any Christmas films we have to watch each Christmas but the one that I will stop and watch if or rather when it’s on TV is The Muppet Christmas Carol. Michael Caine is great in it, Rizzo the rat is my absolute favourite and the songs are so catchy. This month I continued with The Lunar Chronicles (Re)Readalong aka #TLCReadAlong on Twitter run by BookAddictsGuide and read Scarlet by Marissa Meyer – I ended up enjoying this book even more than the first one. As a part of The Lunar Chronicles (Re)Readalong there’s bonus posts you can do and I’ve chosen to write about some awesome grandparents in film. Scarlet’s grandmother is pretty great, she used to be in the military, won’t be bullied and has a great relationship with Scarlet. So here’s some other great grandparent relationships. 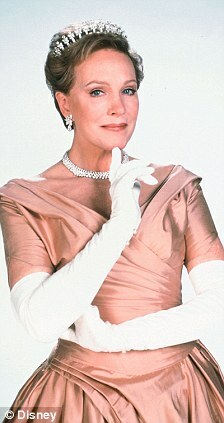 Queen Clarisse Renaldi is the Queen of Genovia and isn’t perhaps the most maternal grandmother to start with, she’s incredibly prim and proper but that’s just because she cares what happens to her country. Still, after spending time with Mia, they get along really well, she even discovers the joys of corndogs and the funfair, and will do her best to protect Mia from the press and anyone else who tries to hurt her.